In school, there was no other month I looked forward to more than February. Finally, I get a chance to learn about my history. The people that paved the way and the ones that gave with their lives. Each story seemed to give me life no matter how many times i heard them. Why, because each one brought me closer to myself. For what is a man without his history? African-Americans only have 28 days a year for it to be nationally recognized. However, it has occurred to me over the past 4 yrs that I may very well be cementing myself in Black History. More importantly, I wasn’t the only one. Also, I believe you can join us. If you look at African-America’s most notable figures, nobody had anything more than anybody else. Nobody had special powers or supernatural gifts. They came from an assortment of everyday backgrounds much like you or I and if things were equal, we may never have known about them. Yet slavery was a precursor to the road our people had to travel in this new country. Bound together by shackles, worked and bred like beasts, the road to freedom and equality would have to first be paid for with blood and sacrifice. Those ancestors who rose to pay that toll endured the worst. In the years after, more and more of our ancestors sought our rise in every avenue possible. Education, Business, the Arts, and Civil Rights. Our ancestors in these areas saw a need and addressed it. There were needs in our government as well and those before us addressed those too. Even though the color of their skin minimized their voice at the time, their words proved prophetic as our country still struggles with racism to this very day. It is this very day that concerns us. It’s this very day that I want to bring to your attention. Today, is our day. There is still a need for those of us to take a step up. We have come a long way but we are not there yet. We are still being beaten and murdered by police. There is still economic and systematic Racism plaguing our community. There is a call for change that has remained constant in all aspects of African-American life in America. All that is needed is for you to answer the call where you are, in your profession, or craft. Our history is riding on the number of African-American men and women who willing to be the very best at what our culture needs right now. I am committed to making sure that my body of work adds to our culture and brings our people together. It is my goal that my work inspires the next generation of writers. My place in Black history is now. Will you join me? Holla if you hear me. I was writing a new piece when I finally had enough. The news became more and more unbearable each time it was reported and for the first time in a long time… I hated to be right. I never liked Governor Rick Snyder. I saw his disdain for the lower class and minorities evident throughout every move he made. Now those moves have risen to the surface. Invested in apathy and interest paid for by the health of thousands of Michigan residents. Currently, Detroit Public School teachers fed up with the conditions of the schools and laughable wages have staged “Sick outs” to call attention to the matter. Detroit Public Schools are under an Emergency Manager appointed by Governor Snyder in order to help the school district while it is severely in debt. Help only in word and not deed. For the past 6yrs, Detroit Public Schools continued to fall deeper into decay. Molds and fungus grow wild in the hallways. The very same hallways kids have to use for gym class because the gymnasium is no longer suitable due to leaking roof and warped, molded floor. Some schools have no heat, old books. Teachers have to come out of pocket for toilet paper and school supplies for the children. Their salaries barely supporting their own households. How would you feel if your child went to school and these are the conditions that they were forced to learn in? An hours drive north of Detroit and another Emergency Manager appointed by Governor Snyder has committed the unthinkable. It has been known for the past two years that Flint’s water supply was in dire straits. In fact, General Motors abandoned using Flints water in 2014 for their plant citing pollutants in the water. Like his counterpart in Detroit Public Schools, he was in no hurry to turn things around. In fact, it was a doctor’s report on the high levels of lead in children that sparked outrage. Then there were the reports of over 80 cases of Legionaries disease with 10 fatalities due to the polluted water. It is estimated that it will take $41 million to replace all the corroded pipes causing the contamination. Which is all the pipes in the city. Darnell Early was the Emergency Manager in Flint and of course Governor Snyder had to remove him. Yet Snyder felt Early was a good man and made him the new Emergency Manager of … You guessed it, Detroit Public Schools. Governor Snyder has apologized and in turn blamed bureaucrats for anything he could but the damage is done and his part is plain as the pain in the faces of Flint’s residents. Faces that echo the ultimate betrayal of leadership. Snyder’s lack of respect for minorities and the poor came swiftly when he appointed Emergency Managers over Flint,Pontiac,Detroit, and Benton Harbor shortly after his first term as Governor. Now we see the fruits of his decisions. Promise fair oversight but deliver unfair dispensation. Promise an investment of resources but deny the resources necessary. Emergency Management is nothing more than suspending democracy in favor of his friends. Namely the rich and Republican. The rest of us can drink the water. Holla if you hear me. Welcome to 2016! I thought about writing about what I have planned for your reading enjoyment this year. However, I would hate to ruin my surprises. I thought about writing something super inspirational. However, just about every blog I have read this week is doing just that. So I decided to share with you a word that I received from Bishop Corletta Vaughn on New Year’s Eve. That word is… Preparation. In order to get what she told me, you will have to attend Holy Ghost Cathedral on East Grand BLVD on Sunday mornings in Detroit,MI. I will give you some to think about in the interim. It all starts with one question. “What are you Preparing for?”. I know you are hard at work on your brand new resolutions but why make them? What is the outcome of your hard work? A lot of you want to lose weight. A lot more of you want more money. I know most of you want both! I want you to consider not your goal but your journey. What are you doing to prepare yourself for the end of the journey? Not physically, but mentally. There is something to consider when attacking this year and it is the same every year and it’s the number one reason why so many people fail in their resolutions. Lack of Preparation. You haven’t decided what to do when you meet your goals. Also your goal was only for this year. How can achieving your goals this year carry over into the years to come? Prepare yourself. Not just for the ritual of making a resolution but for long term change. Use parts of your journey to lay a foundation for next year. I want to challenge you not to think in terms of 365 days but 730 days. Look forward to 2017 right now and when 2017 gets here, start laying foundations for 2019. That way, building your empire during 2018 will be a lot less hectic because you will already have a plan in place. So instead of making resolutions, we can make progress. Holla if you hear me! 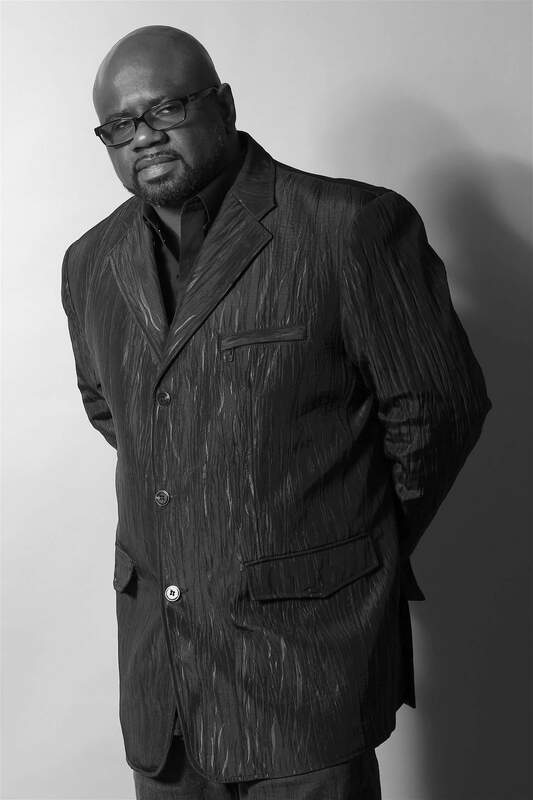 I spent most of 2014 hosting a radio show called “We The Nation” on Urban Nation Radio. I focused on politics and current events. The most important message that I wanted to get out was the importance of voting. I had numerous guests and did a lot of great interviews but the voting numbers in the African-American demographic barely budged. When I went out into the community, I often spoke to young people about voting but many felt like their vote didn’t matter. They were unmoved by my knowledge and my words fell on deaf ears. I needed a bigger and better example. Thanks to Donald Trump and his meeting with those black Pastors, I may now have it. Before the meeting ever took place, a backlash came from the African-American community once the flier was circulated. Eventhough Trump is a highly successful billionaire, many in the African American community see Donald Trump’s views as racist and unfavorable. Many of Trumps comments have done little to change this perception. Trump himself realizes that he cannot win the White House without the Black vote. So with the help of Pastor Darrell Scott from Ohio, Donald Trump reached out to African-Americans through the Church. It’s a well known fact that the church has been the center of the African-American community since the Civil Rights Movement. Also, since the Republican party has built their campaigns on Christian morals, it was a very sound strategy. The post meeting fallout was even more explosive. CNN interviewed Black Pastors all evening and the following day. One Pastor that was featured prominently was Bishop Corletta Vaughn from Holy Ghost Cathedral in Detroit. She did not go to the meeting citing Trump has not visited the community she serves and especially his unclear views on women’s rights. What did Trump do in response? He now has a clip of two African-American women loudly proclaiming their endorsement of him for President. Now, if you throw in the recent Senate battles on Gerrymandering and voter redistricting at the local level in urban areas along with Donald Trump’s campaign strategy, the picture is clear. Black voter power is big! The fact that African-Americans don’t embrace it is bigger! Imagine what changes in education and economic empowerment if African-Americans realize their voting power. Now that is HUGE! Holla if you hear me! It’s pretty early in the race to see who will be the next President of the United States but the Republicans are in full attack mode! They feel its prime time to assert themselves and show the nation they can lead the country. They have stuck to the Republican game plan to the letter. There is one part of their plan that may cost them the entire race. The Republicans have agreed that Americans make too much money. 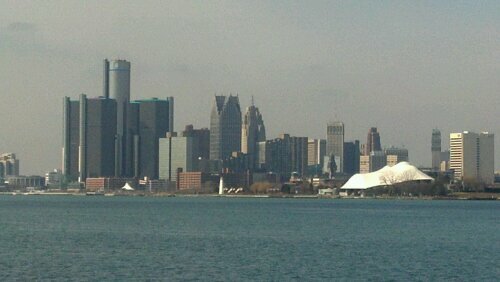 Let me bring you to Detroit. 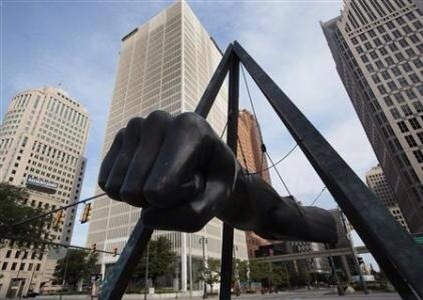 Detroit was just named the most dangerous city in America for the third year in a row. Detroit has always had a reputation but real economic issues underscore the findings. In 2010, Detroit’s economy collapsed along with the rest of the country. However, Jobs and wages have been slower to return than anywhere else. This is largely in part due to the auto industry which was the hardest hit. Average rate of pay for an autoworker was around $21/hr. American Axle once told it’s employees at a townhall their fully loaded wages (including benefits) was worth about $66. Since then, incomes across Detroit have been cut in half and benefits cut even further. Now we have a city full of disgruntled, formally gainfully employed individuals that are now working for far less than they used to and barely making ends meet. Hopelessness creeps through the city like a plague. Crime spikes were inevitable. Yet the Republican platform maintains that our current wages are too high. It is safe to say that if a Republican candidate won the Presidency, that our economy will start to see lower wages across the nation. Cities across the nation will start to have the same issues as Detroit, Jobs may come but many will struggle to see anything above $15/hr. Benefits will be at a minimum with prescriptions and copays rising as they are now. Teachers salaries have fallen in Detroit to the point that many have quit early in this school year. Income inequality is a huge issue and we will see how much of an issue in the months to come. Holla if you hear me! I came across an article written for a local outlet that made me a bit uneasy. Not only because of the obvious negative affect it had on the African American community in Detroit, but because many older Detroiters see it happening again. Early Detroit had one of America’s most thriving African-American communities. Hastings street south of East Grand Blvd all the way to the riverfront was filled with African-American businesses. Also Paradise Alley was a happening night spot that rivaled Beale St, in Memphis, Tennessee. Many whites came down from the surrounding areas to partake in great Blues and Jazz music. As great as this was for all, It would be destroyed in the name of progress. That progress had a name… I-75. This new interstate shut down a little over 350 African-American businesses and forced the people who lived there to relocate to housing projects. That happened in the early 1900’s, Now fast forward to present day Detroit. The Housing market and financial downturn took a horrific toll on the city in 2009. Unlike most cities across the United States, Detroit is having the toughest time coming back. Mayor Kilpatrick’s scandal along with household incomes cut in half made the need for a new Detroit clear. New Mayor Mike Duggan has promised to do just that. So a new Detroit is beginning. Construction is booming all over downtown. A new light rail system is being built on Woodward. Townhouses are being built on the riverfront to go along with a new park. Buildings downtown are being bought up by the wealthy and the few African-American businesses that were downtown have been forced out in favor of luring new lucrative tenants. What’s becoming of the neighborhoods where most African-Americans live in Detroit? Nothing. Not one improvement. Not one school reopened. No streets cleaned up, or businesses opened. Not even the Mayor’s community outreach centers he promised to open once he was elected. It appears in this new Detroit, the African-American neighborhoods are left out. The past is repeating itself with one difference, There are African-Americans with money. Those of us who are not in position are going to have lean on those who are to establish an economic foothold. 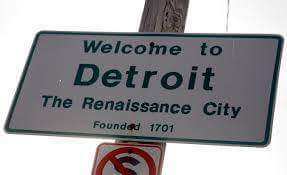 There cannot be a new Detroit we can be proud of if economic racism prevails in keeping African-Americans out. Hastings Street and Paradise Alley are part of the past but if we are to recreate our economic footprint at that time, we have to assert ourselves now! Holla if you hear me!